You'll always have natural, transparent sound. 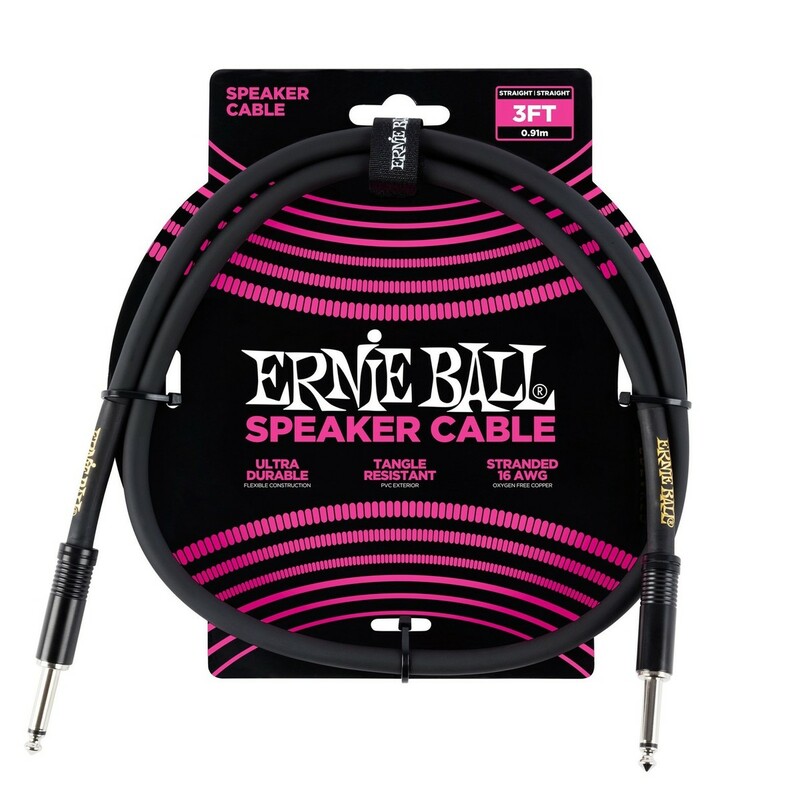 With the Ernie Ball 3ft Straight-Straight Speaker Cable, Black you can be confident you have a great sound. 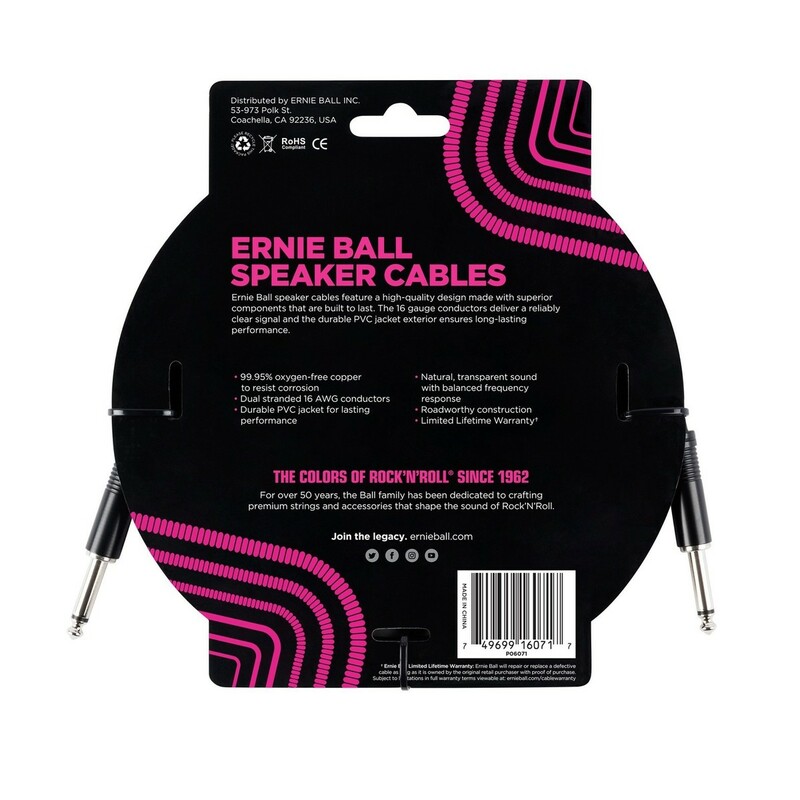 It's durable and long lasting. The PVC jacket keeps it flexible and strong, and also resists corrosion so it will always give you top performance for as long as you need it. The Ernie Ball cable is also tangle resistant so you never need to worry about it getting tangled when packed away.